Elleven Pens There is 1 product. Innovative Elleven design. 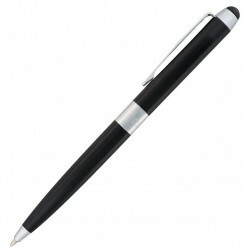 High-gloss brass body with rubberized stylus end and retractable twist action mechanism. This model takes a standard Parker ballpoint refill. Engraves silver.